Enhanced Sitelinks are two lines of descriptive text added to Sitelinks. 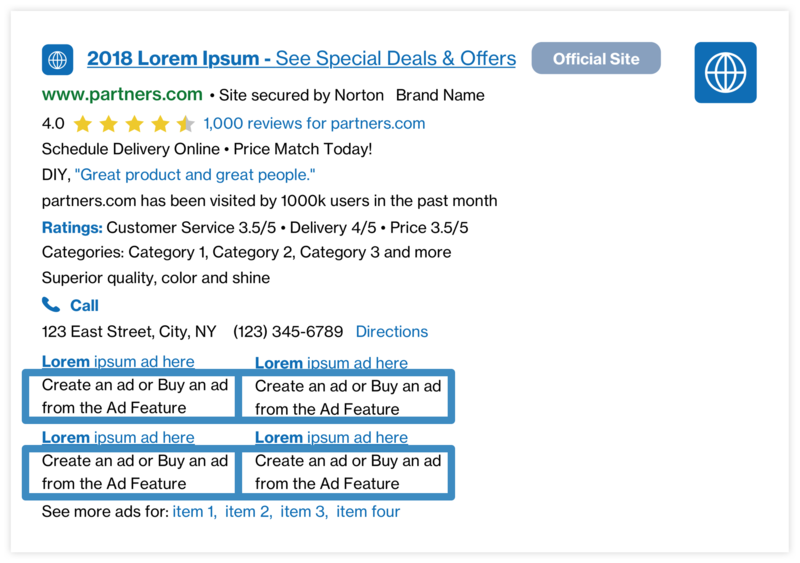 This feature is attention grabbing and offers more details to users about where the Sitelinks lead to. Enhanced Sitelinks can be up to 35 characters each and up to four Enhanced Sitelinks can be displayed at one time. The number returned depends on the ad quality and relevance of the Sitelinks. This feature is currently available on PC and tablet devices. Results: Some Partners have seen an estimated lift of CTR and +2.5-3.5% RPM. Results may vary.